....You've Come to the Right Spot! With over 10 years of plumbing experience, Superior Plumbing & Gas has made a name for itself as one of Belton's top plumbers! We're proud to offer top quality plumbing work, clean jobsites, and friendly plumbing service. 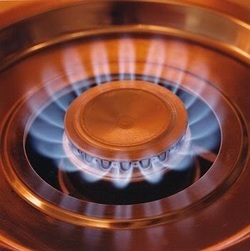 So, when you need a plumber in Belton MO who you can trust, give Superior Plumbing & Gas a call. Our Belton plumbing experts work not only on plumbing repairs and projects but also gas lines, new construction, renovations, and remodeling. Our Master Plumber here in Belton MO can provide expert advice on even the most difficult plumbing problems. Our local Belton plumbers also provide a NO OBLIGATION, FREE ESTIMATE! This way, you get the information you need from our Belton plumbers before you have to making any decisions on your plumbing problem. Since its inception, Superior Plumbing & Gas has stayed a family owned and operated business. This lets our local Belton plumbers get to know customers personally in a way large, corporate plumbing companies can't. We're a one stop plumbing company in Belton MO providing service that lets you get exactly what you need the first time, every time. And when our Belton plumbers are finished, you can rest assured that you will have a clean jobsite with plumbing that was done right. Our local Belton MO Plumbers take this motto seriously, "Clean Plumbing, Done Right!!" But don't just take our word for it! Head to our reviews page and you'll get the word straight from the mouth of our customers!